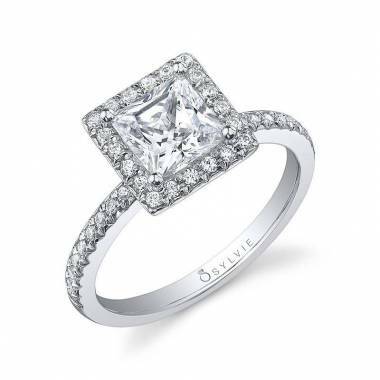 This glamorous double halo engagement ring features a 1 carat round brilliant diamond centered embraced inside a double, cushion shaped halo of shimmering diamonds. 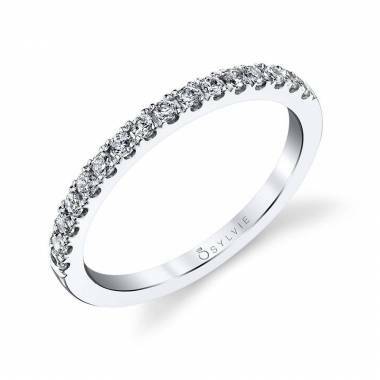 The split shank gently flows together to form a solid shank and is accented with pave diamonds for a dramatic design. 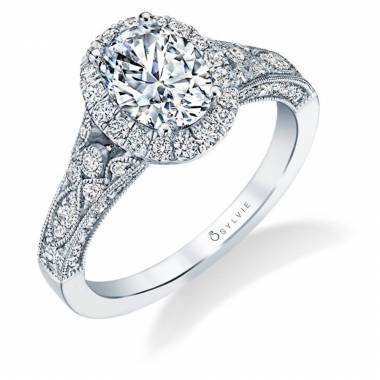 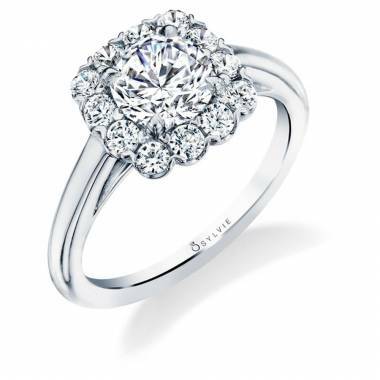 The total weight of this appealing double halo engagement ring is 0.44 carats.